Restaurant Review – Beer Oh Beer! Opening their doors in October 1989, Montecatini Ristorante is located in Walnut Creek. They have received several awards in their twenty-nine years of being in business. Chef-owner Ermes Paulin was born and raised in Vicenza, Italy. At the age of seventeen, he was trained in the finest culinary academy in the world. Montecantini Ristorante has their kitchen in the front of the restaurant. This allows patrons to view the food preparation and can see they prepare their food with only the freshest ingredients. 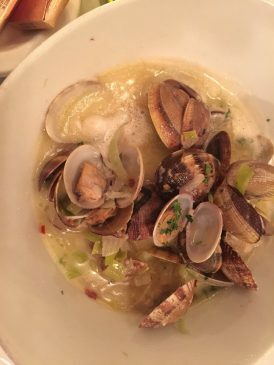 Chef Ermes takes great pride in creating some of the most delicious dishes in his restaurant. They have over a four-star rating with over one hundred and sixty reviews online. Sotto Mare Oysteria & Seafood is located in a building in San Francisco that was built in 1919. It has been the home of several Italian restaurants throughout the years. In 2003 the original blueprints were found, and the building was restored to its original configuration. The Azzolino’s, Rio and Vito and their parents, Rich and Laura, purchased the restaurant. Laura had been working for the previous owner, Gigi Florucci so she had knowledge of how the restaurant was run in the past. Both Laura and Rich were born and raised in San Francisco in the Little Italy district. 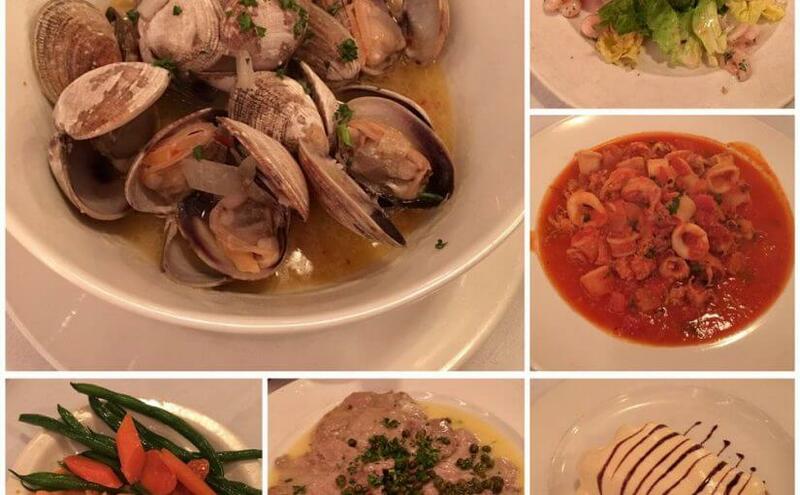 They have kept the tradition of Sotto Mare Oysteria & Seafood by using authentic Italian recipes. Rich’s other love is collecting classic muscle cars. He developed this passion from his father who took him to car shows all over the West Coast. Sotto Mare Oysteria & Seafood popularity continues to this day. Their rating on the internet is a strong four-point-six with over thirteen hundred positive posts. 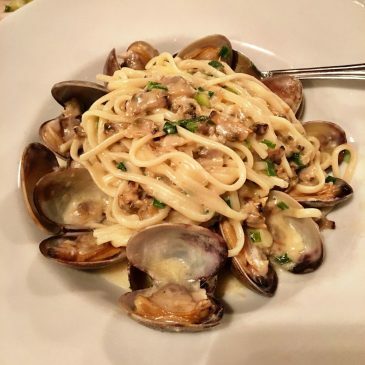 Founded by the Bertolucci family in South San Francisco, Bertolucci’s Ristorante opened their doors in 1928. Originally ran as a boardinghouse by Mama Bertolucci, she cooked for steel workers family style meals. Eventually, Mama Bertolucci turned Bertolucci’s Ristornante over to her son and daughter, Larry and Lola. They ran the restaurant until 2003. Peter Sodini bought Bertolucci’s Ristorante in 2005. Peter grew up in North Beach working in his father’s bakery. He delivered bread to Bertolucci’s and was impressed with the restaurant. When Peter grew up, he opened several pizza places throughout San Francisco before buying their own restaurant in 1992 in North Beach. 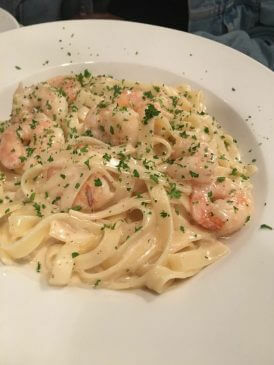 Their Italian cuisine comes from traditional recipes that came from Tuscan, Italy. 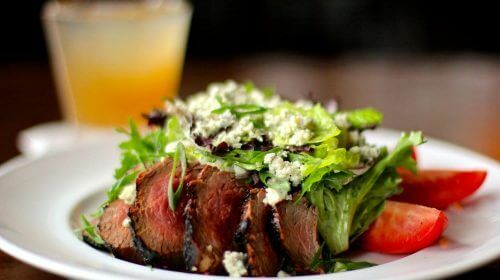 This restaurant is a favorite of many San Franciscan’s who have given them over a four-star rating with their four hundred and sixty reviews on the world wide web. San Francisco Bay Area Hood Cleaning has been serving the Bay Area for years. They have a team of professionals who have been trained and are certified in commercial kitchen cleaning and hood cleaning. 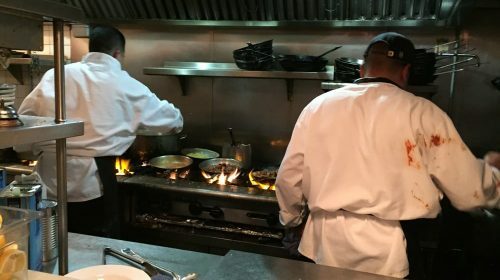 They follow the National Fire Protection Association Code 96 guidelines when they work in commercial kitchens. It is recommended commercial kitchen have their hoods cleaned at least once a quarter. The NFPA Code 96 guidelines give more specific recommendations based on the use and type of fuel used while cooking. This article pays tribute to one of my favorite foods, burgers. I wanted to find some great burger places in Atlanta, Georgia and see what I could learn about them. It is funny as I look up places then look at their website. Some of them don’t even have a website. My criteria to write about any restaurant is they need a good “About” section. So many of them don’t. In their “About” page, some only list their hours or that they serve one hundred percent aged beef. The “About” page really needs to tell me a story of how the restaurant came to be and perhaps a little about the people who started it. I love to find a building that has history. One place I wrote about used to be a gas station. Another got its floors from an old roller rink. Grind House Killer Burgers has several locations in Atlanta, one in Athens, two in the Atlanta-Hartsfield International Airport, and one in Decatur. The first restaurant was open on 2009 inside the Sweet Auburn Curb Market, downtown. Alex Brounstein, a former real estate lawyer, was instrumental in the revitalization of the historic public market. Grind House Killer Burgers was situated amid produce, meat and seafood vendors. It quickly became a favorite place and their burgers were get some amazing press. Creative Loafing and Atlanta Magazine listed them in their “Best in Atlanta” publications. They raved about their homemade brisket chili, hamburgers and even their vegan burgers got rave reviews. People would come in to eat then stay for their silly B-rated movies or their Kung Fu flicks that were projected on the subway tile walls. 2011 saw the opening of their second restaurant that used to be a gas station. This place could seat over one hundred people and has a great covered patio. The third location was built from the ground up in 2013 and the fourth locations in 2016. Their burgers have to be good if they keep opening up new restaurants. Just take a look at the over one thousand seven hundred posts on the web that rave about their food. NFA Burger is located inside Galla’s Pizza Chamblee. Founded by Billy Kramer in 2017, NFA Burger was in the making long before that. Billy used to travel a lot for his job as a sales executive. He figures he ate more than five hundred burgers across the country. He used Instagram to document each burger and now has over twenty-seven thousand followers. Originally started as a pop-up inside Galla’s Pizza has now become a three-day a week business. They are open Thursday through Saturday from eleven-thirty in the morning to three in the afternoon. The menu gives you four choices for burgers, fries or tater tots oh and you can add an extra patty for $2.50. Billy kept the menu simple because he wanted to be able to open a standalone business sometime down the road. That doesn’t mean NFA Burger will always keep the menu small, Billy has a band of friends who serve as his taste testers. Currently he is working on a Philly cheesesteak sandwich. Not a lot of online reviews but the ones he does have give him four plus stars. Bad Daddy’s Burger Bar is located on Church St in Decatur which is only twenty-five minutes from Atlanta. There are also locations in Colorado, North Carolina, Oklahoma, South Carolina and Tennessee. The first Bad daddy’s Burger Bar was opened in 2007 in Charlotte, NC. It was an instant hit and by 2012 there were five locations. That is amazing to think about because the height of the recession was in 2008 and a lot of restaurants were closing. They have built a reputation in the burger world by using the philosophy to prepare simple foods with a culinary passion. This has paid off because they now have over twenty-eight locations and are looking to expand in the future. It is fun to read the posts on the web. This article has been brought to you by Atlanta Hood Cleaning Pros. Dallas was first explored by John Neely Bryan in 1839. He wanted to establish a trading post that would serve both Native Americans and settlers. He surveyed the area then returned to home to Arkansas to put together his business. Unfortunately, while he was home, there was a treaty signed which removed all of the Native Americans from Northern Texas. Upon his return, he saw that half of his perspective customers were no longer there so he decided to create a permanent settlement which was created in 1841. Today Dallas, Texas has a population of over one million three hundred thousand residents. The median income in 2016 was $63,812 per household and they say you need $57,984 to live “comfortably” in Dallas. The major industries in Dallas, Texas are information technology, telecommunications, life sciences, defense and financial to name a few. There is an estimate that Dallas comprises about forty-three percent of the state’s high-tech workers. This means there is a lot of extra spendable income for people to enjoy great food and when you think of Texas you think of barbecue. Located in the Deep Ellum part of Dallas, Texas, Pecan Lodge got its humble name from Justin’s grandfathers ranch in Abilene. With strong memories of cooking with their grandparents, owners Justin and Diane started their first barbecue business at Dallas’s Farmer’s Market in Shed #2. Both Justin and Diane had corporate jobs that caused them to travel weekly. They decided to take the plunge and quit their jobs to spend more time as a family and open Pecan Lodge. 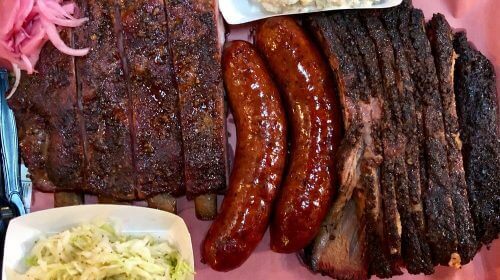 It quickly became a favorite of locals and tourists alike and was called one of the Top 4 BBQ joints in the world by Texas Monthly. They made a decision to use time honored family recipes instead of using current trends. They stuff their own sausage, make everything from scratch like their Aunt Polly’s banana pudding to their Southern Fried Chicken and keep their barbecue pit burning twenty-four hours a day. They offer a mouth-watering catering service for any event. You can rent their exclusive restaurant with patio access or they will cater to your event. With the offer of a full staff and live music you next event is sure to be a success. Not surprisingly they have over two thousand eight hundred positive posts on the internet. This gives them a strong rating of four point five. As with most of the barbecue restaurant owners, Todd David turned a life-long hobby of barbecue into a highly successful restaurant. He took a gamble and after thirty years sold his disaster restoration company in 2010. There he founded the Cattleack Barbeque, a North Dallas catering company. Todd fashioned the name of the Cattleack Barbeque after one of the highest quality automobiles, the Cadillac. Creating fall-off-the-bone smoked meats and a Special Reserve BBQ sauce, their goal is to have you come back again and again for the best darn barbecue ever. They are open on the first Saturday of every month from 10:30 – 2:00 and Thursday and Friday from 10:30 to 2:00 or until they run out of meat. Located on the edge of Addison, Texas and Farmers Branch, Texas-North Dallas, you should get there early as lines form fast! 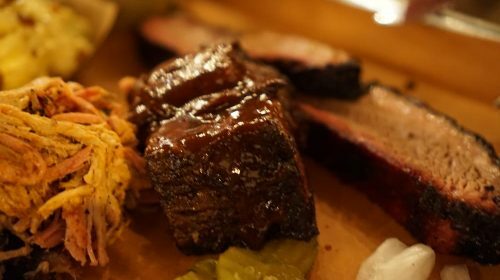 Cattleack Barbeque was listed as one of the “19 Essential Dallas-Fort Worth Barbecue Destinations” by Easter Dallas. They also featured an article on “How to Eat Your Way Through Dallas in 24 Hours” suggesting you visit them at 10:30am. 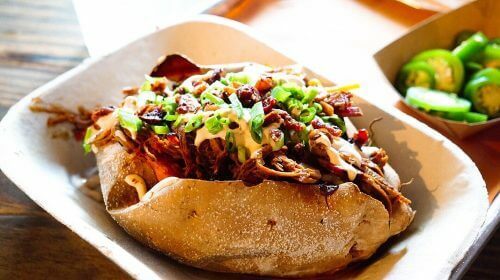 They recommend trying The Toddfather which is comprised of pulled pork, spicy hot link (sliced in half) and thickly-sliced brisket served with their Housemade sauce on a freshly-baked bun. There are almost six hundred raving reviews of Cattleack Barbeque restaurant. With the limited hours, be prepared to stand in line or get there early. 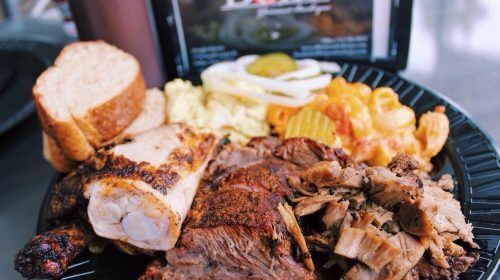 Off the Bone Barbeque on South Lamar Street is a place where you will find amazing comfort food. 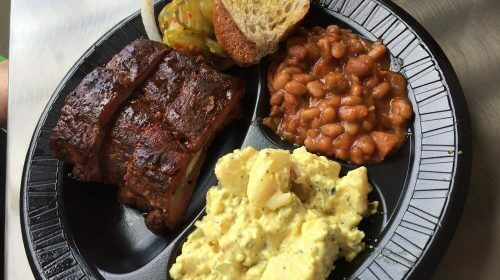 Their tag line is “It’s as good as it looks” and you will back that once you bite into their off the bone pork ribs, beef sausage, beef brisket or smoked chicken by their award-winning Chef Dwight Harvey. 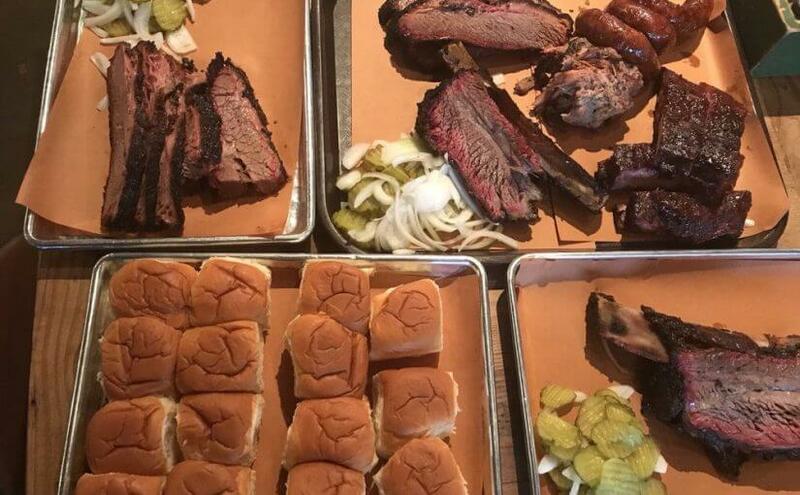 Named one of “The 20 Best Joints in Dallas” for barbecue, Off the Bone Barbeque strives to serve some of the best gourmet barbecue and sides. Try the famous Deep Fried Whole Corn on the Cob or their three meat Charro beans. Their homemade sides include coleslaw baked beans or potato salad. Have an event that needs to be catered? Think of Off the Bone Barbeque. They offer three Pitmaster Packages. The Two Meat package is fifteen dollars per person and includes two sides. Their Three Meat Package runs nineteen dollars per person with two sides or their Four Meat Package is only twenty-three per person. If you look on the internet, you will see they have almost five hundred reviews that rate them over four stars. 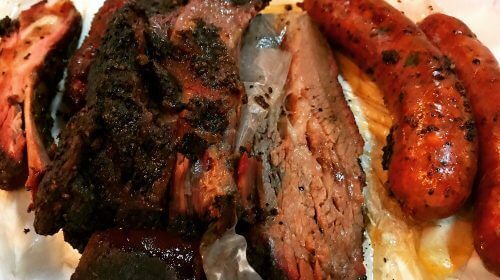 This article on three amazing barbecue restaurants is brought to you by Dallas Hood Cleaning. When looking for professional hood cleaning, restaurants turn to Dallas Hood Cleaning.